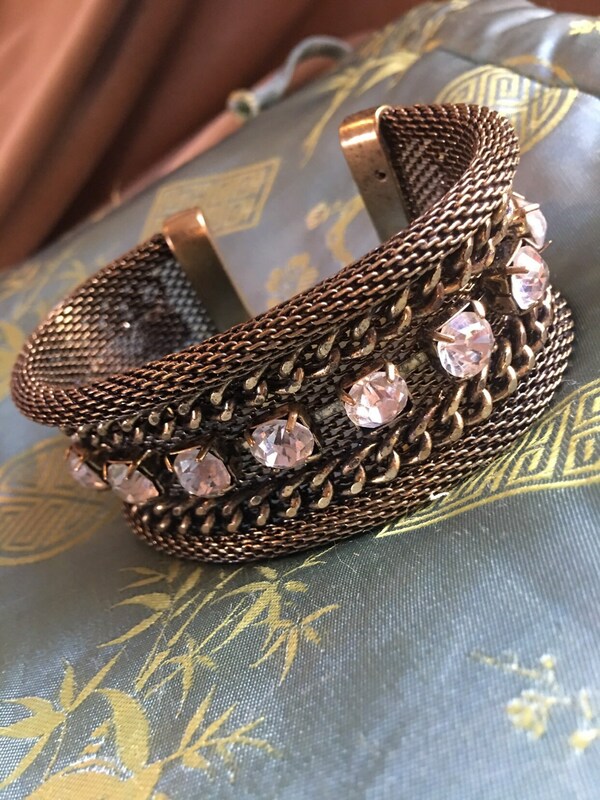 This is a gorgeous piece! 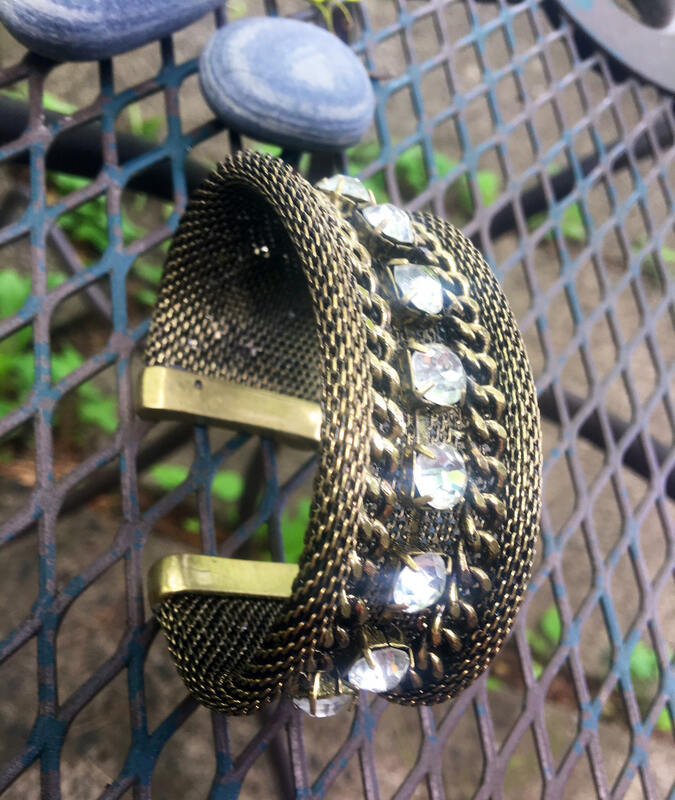 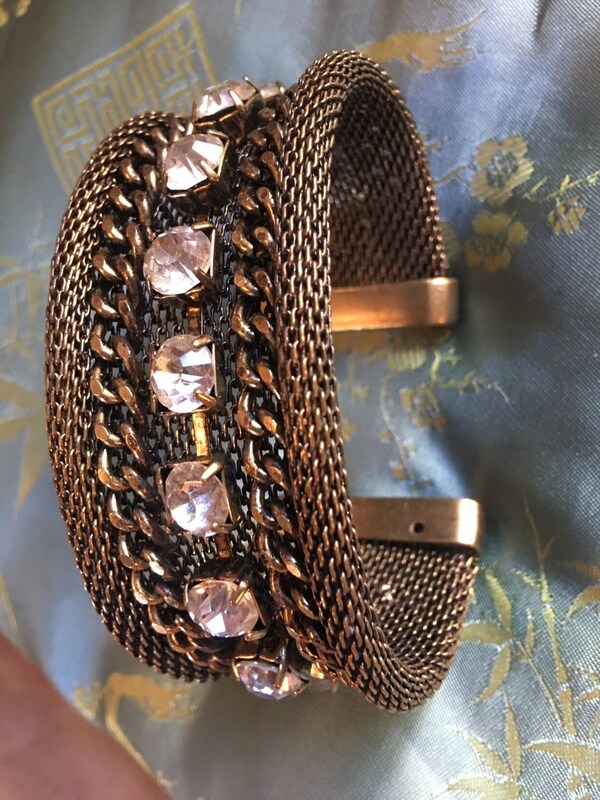 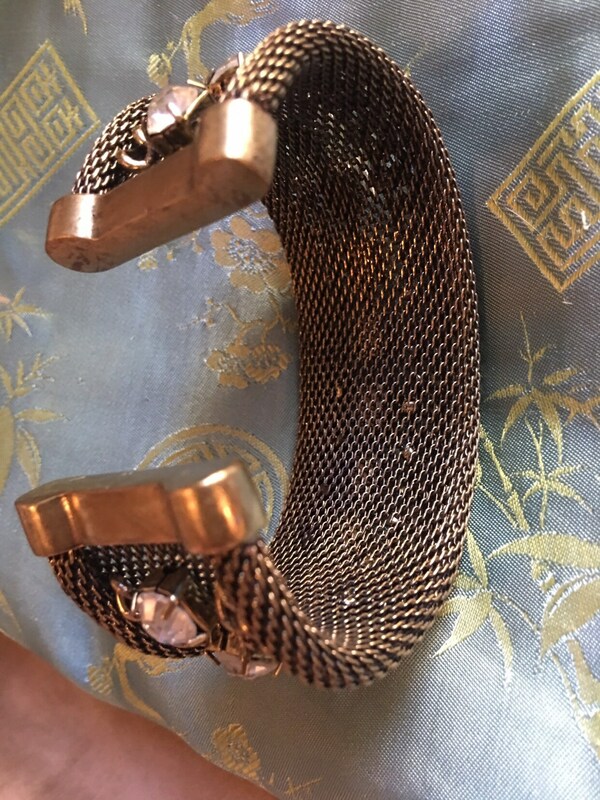 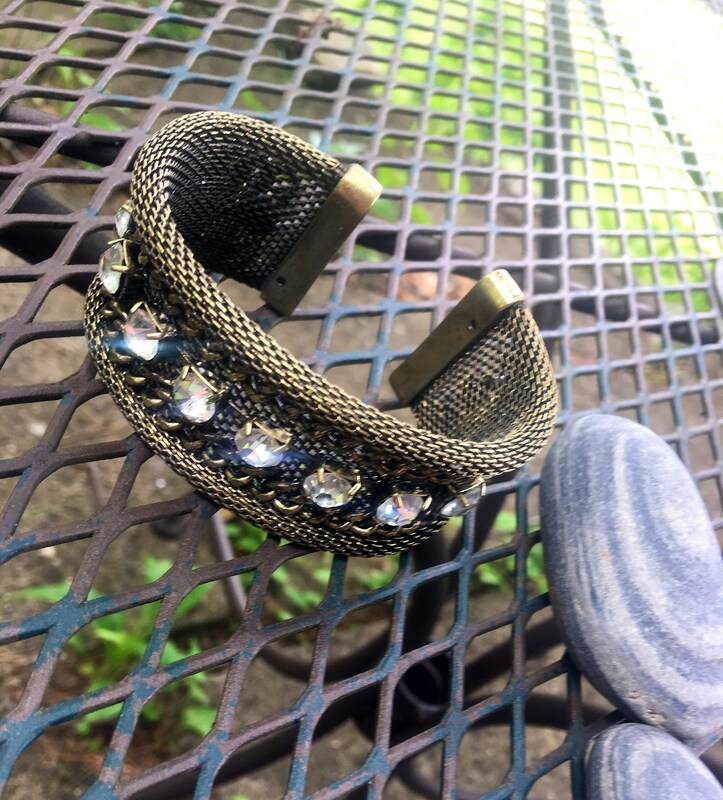 A heavy burnished goldtone bracelet with all Rhinestones in place and photos do not do their gleam justice! 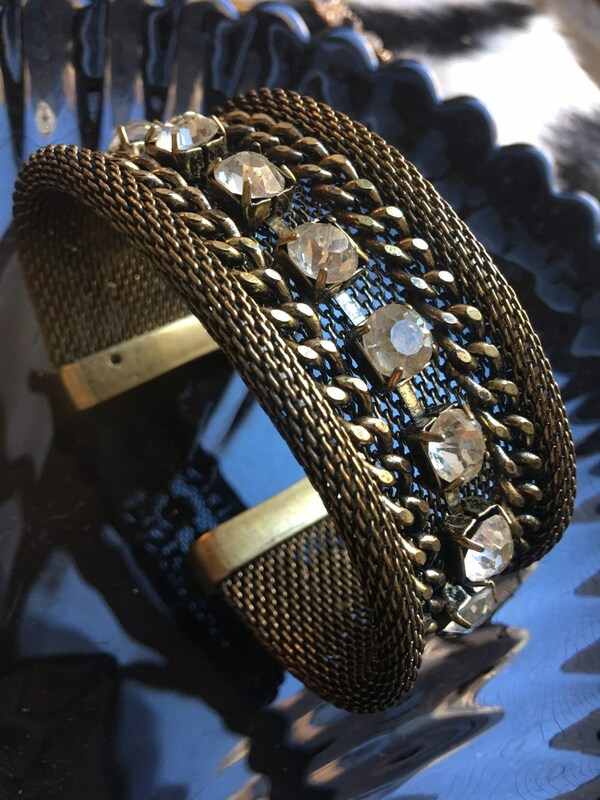 & The contrast of the goth like metal work with the pristine crystal glow is stunning! 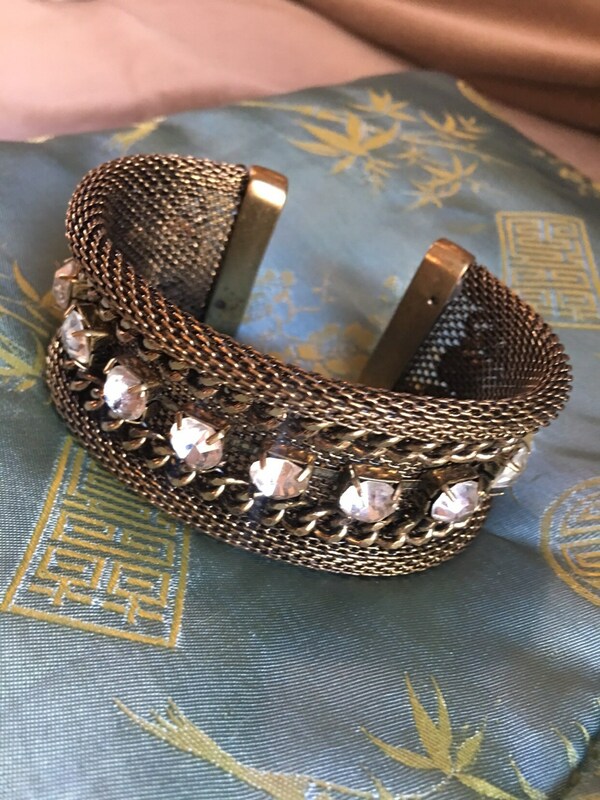 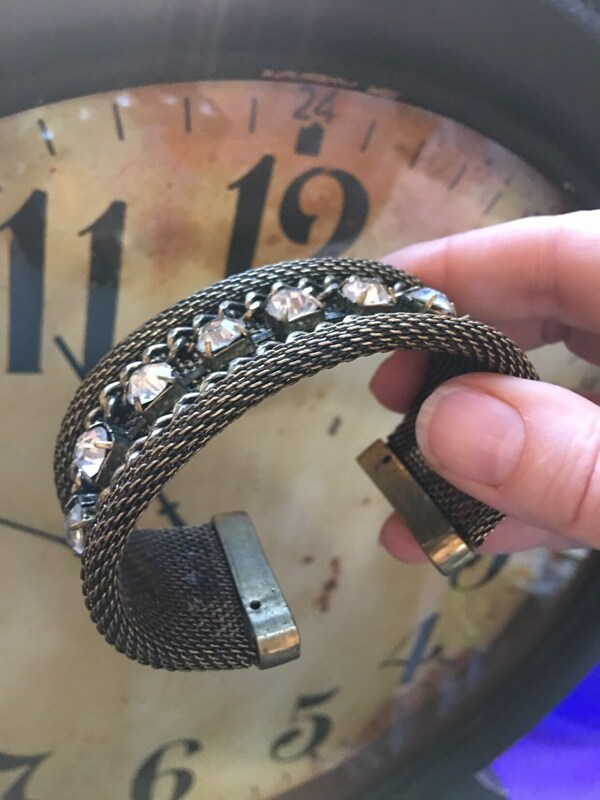 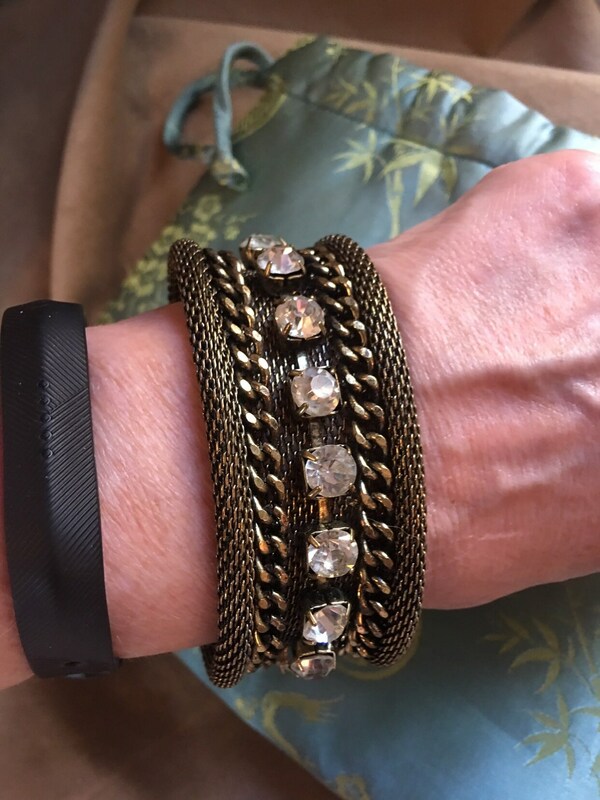 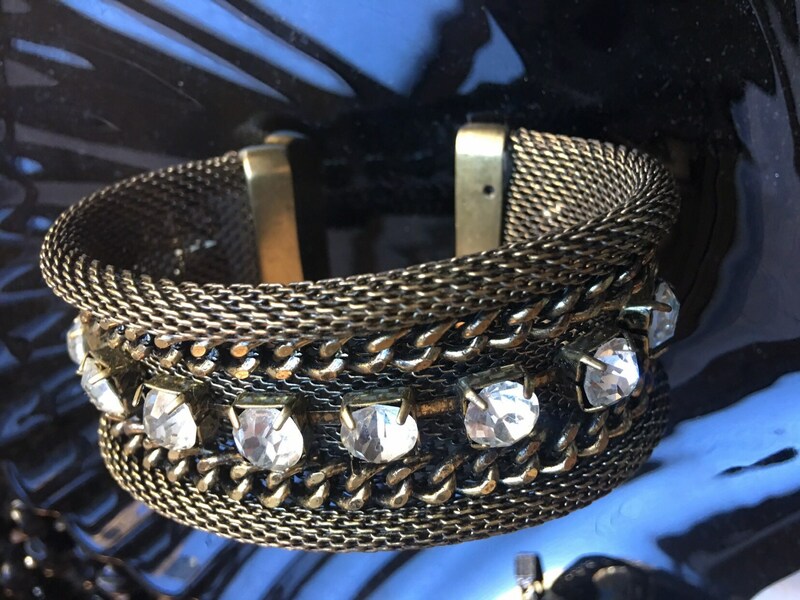 Really great bracelet & in mint condition!